The Central Coast is truly a food lover's paradise, with an endless amount of options of varying cuisines. It is impossible to go wrong with the many dining spots on the Central Coast, many of which are located right by the Shore Cliff Hotel. We are lucky to be located near a few of the area's most famous restaurants, like Splash Cafe for their yummy clam chowder and Old West Cinnamon Rolls for a delectable breakfast. If you're hoping to indulge during your next vacation, head to Shore Cliff Hotel and try out these many delicious spots. Shore Cliff Hotel offers guests a beautiful beachfront location in the center of some of the most enticing Pismo Beach attractions. One of our favorite things to do in San Luis Obispo for adults is touring the nearby Edna Valley and Paso Robles wineries. The Central Coast is a wine connoisseur’s dream, boasting a bouquet of vineyards that are among the most sought-after things to do in Edna Valley and Paso Robles. 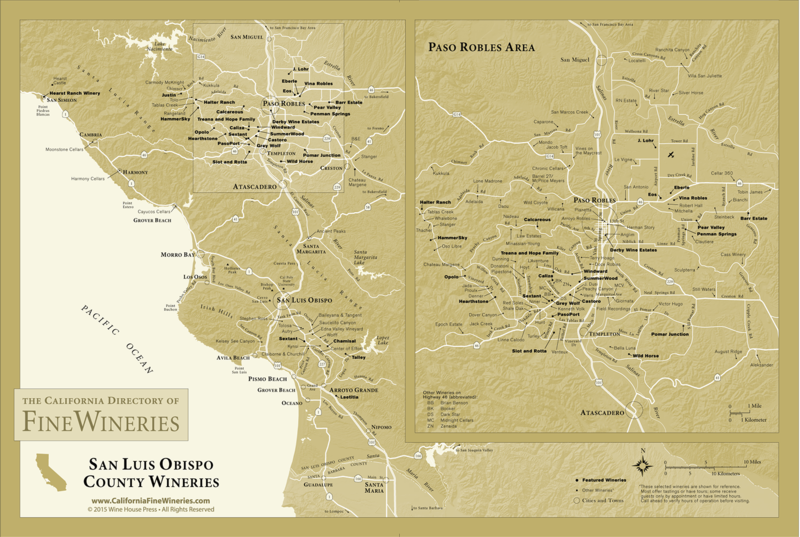 Start planning your wine adventure today—click here for a county-wide winery map courtesy of the California Directory of Fine Wineries. The boom and increasing popularity of craft beer have led to many breweries on the Central Coast opening their doors to visitors for fun tours and delicious tastings. If you're looking to learn more about the brewing process and taste some delicious beers along the way, head to some of these popular producers of amazing Central Coast brews. Tour services like Hop on Beer Tours are also a carefree, easy way to head to a few of the best breweries in our area, allowing you to relax and enjoy the ride.